Merci beaucoup for selling out Expect Miracles Foundation’s 13th Annual Wine & Spirits Event. 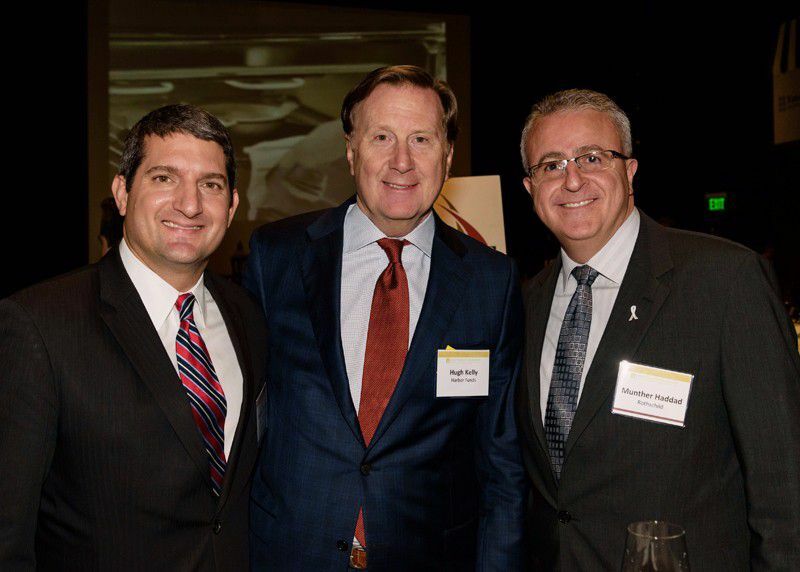 Nearly 400 financial executives and their guests gathered on November 10, 2016 at The Revere Hotel in Boston, MA and raised significant funds for the fight against cancer. The evening showcased the importance of both individuals and companies supporting the cause, and emphasized our firm belief that YOU are the Main Ingredient in the Recipe for a Cure. With support led by Foundation Sponsors BNY Mellon, Eagle Investment Systems, and Intercontinental Exchange, guests received a glimpse of France as they entered Space 57. While enjoying Paris, Provence, and Bordeaux dining bars, Rothschild Wine, and drink tasting bars, guests networked with old friends, new colleagues, and industry peers. Through the generous support of International Culinary Tours and Château Ladausse, this year’s Grand Prize Drawing featured five days in Monflanquin, France for an international culinary experience. Event Co-Chairs Jeff Duckworth, John Hancock Investments, and Keith Brown, Accenture, expressed a call to action and asked everyone in attendance to consider how they can get more involved with The Foundation on a company or personal basis. After an exciting live auction and tremendous support from the crowd, Frank Strauss, Founder and Chairman, took to the stage to thank the Foundation’s sponsors and shared the industry’s success in 2016 from record-breaking fundraising to sold-out events. Strauss asked for the 100th person to join the Miracle Maker Leadership Council and the response was overwhelming. Right on the spot, several attendees pledged to join the MMLC, the Foundation’s major donor circles. The evening culminated with Frank Strauss presenting a check for $700,000 to Dana-Farber Cancer Institute in support of the Robert and Renée Belfer Center for Applied Cancer Science. Strauss presented the Foundation Award to State Street Corporation for its leadership in advancing the mission of Expect Miracles Foundation. Brenda Lyons accepted the award on behalf of State Street. Strauss presented the CJ Award to Seyfarth Shaw LLP for its loyal commitment of time and resources to aid The Foundation in rallying the financial services industry against cancer. Erik Weibust accepted the award on behalf of his firm. Thank you to our wonderful guests, sponsors, partners and volunteers – YOU are the Cure. You can check out even more photos on our Facebook Page! We hope to see you at our next event, Expect Miracles in Manhattan on January 26, 2017 in New York City.